Unique to the Queensland Conservatorium, the Bachelor of Popular Music will help you transform your musical passion into a successful and sustainable career. Based on Griffith University’s Gold Coast campus, our degree will help you foster the creativity and business skills required to succeed in the popular music industry. Endorsed by international industry heavyweights, the Bachelor of Popular Music is designed to equip students with a diverse and practical skill set. No matter which major you choose, you will graduate as a ‘portfolio’ musician - combining diverse employment opportunities in performing, songwriting, recording, event coordination, business management and more. ARIA nominated singer/producer and record label owner, Danny Harley is known as The Kite String Tangle. Danny is a graduate of the Bachelor of Popular Music. 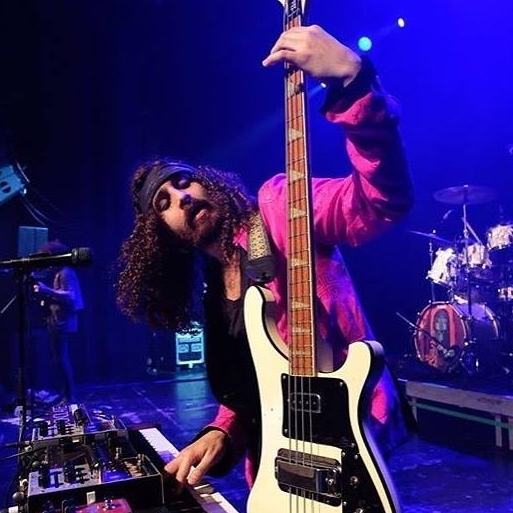 Ian Peres is the bassist and keyboard player for Wolfmother. Ian is a graduate of the Bachelor of Popular Music. Based in Los Angeles, Leah Martin Brown is a songwriter and lead singer for the band Evol Walks. Leah is a graduate of the Bachelor of Popular Music. As a Queensland Conservatorium student, you will have 24/7 access to six industry standard music studios equipped with the latest recording facilities, editing suites and audiovisual post-production technology. You will be able to collaborate with students from the Queensland College of Art and Griffith Film School, in their state-of- the-art digital video studios. Griffith University’s vibrant Southport campus is minutes from the Gold Coast creative and cultural hub – not to mention stunning beaches, mountains and rainforests. The campus boasts state of-the- art facilities, including the $10 million multimedia digital precinct, and the new health and knowledge precinct. With more than 18,000 students, the Gold Coast campus offers a dynamic and exciting student lifestyle with extensive sporting facilities, handy on-campus services and a range of cafes, restaurants and a bar.